I’ve been to towns across the country where they still mourn the demise of local manufacturers that closed years before. It wasn’t an easy thing to see, but it was even harder if you lived there. Manufacturing in the United States used to dominate the world and these industrial towns served as the backbone. These were the places were icons were born, companies like Ford and Boeing, Maytag, Levi Strauss, and Kodak. They became part of the American fabric that was synonymous with ingenuity. These towns and cities, especially in the Northeast and North Central states flourished. Jobs grew, the middle class grew, the economy grew, and manufacturers were making money—a lot of money. Then these towns died. The region, formerly known as the manufacturing belt, became the rust belt. The reasons why this occurred are complex and well documented. Some manufacturers and factories moved to areas in the United States where it was cheaper to do business, namely the South. Increased automation had an impact too. Then globalization and internationalization happened, along with the decline of the U.S. steel and coal industries. Each of these factors chipped away at manufacturing’s underpinnings. It wasn’t long before local economies failed as manufacturers began closing their doors. But as Mark Twain protested in 1897, when his obituary was mistakenly published in a New York newspaper, that “The report of my death was an exaggeration,” so too was the death knell of manufacturing in the United States presumptuous. 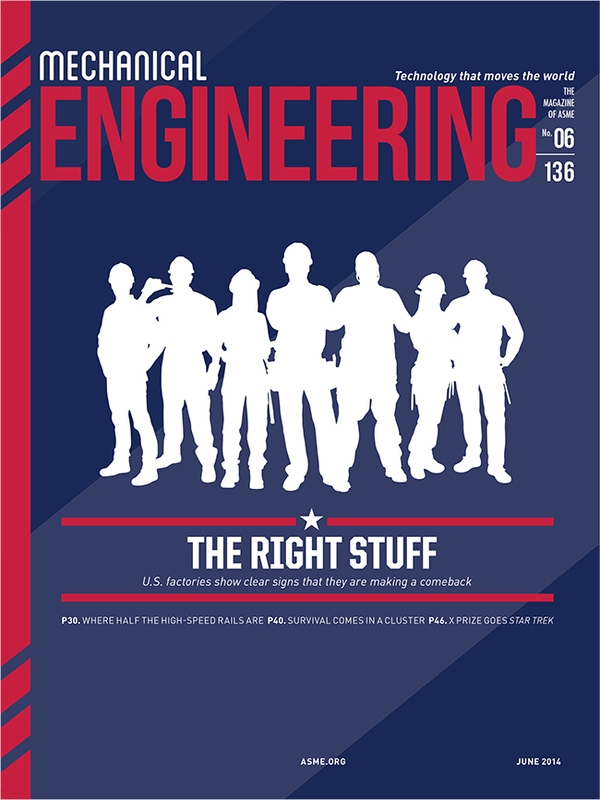 In “The Right Stuff,” this month’s cover story, U.S. manufacturing czar Michael Molnar says he is optimistic. Molnar heads the Advanced Manufacturing Office for the National Institute of Standards and Technology, and is also director of the Interagency Advanced Manufacturing National Program Office. “The United States has added more than 600,000 new manufacturing jobs since early 2010, the first sustained rise in 15 years,” he says. And this is just one of the trends Molnar talks about that give him reason to believe things are looking up for U.S. manufacturing. “Industry’s ‘golden age’ has not come and gone,” he adds. Some of the cities and towns who were struck hard by the decline in manufacturing aren’t sitting on their hands waiting for Molnar’s prediction to come true. They’re being proactive. One such city is Rochester, N.Y., home to former photo giant, Kodak. About 25 years ago Kodak employed 60,000 workers from the Rochester area, but by 2014 the number had dropped to 5,000. As associate editor Alan S. Brown reports, Rochester could have been another dying rust belt city. “Instead, led by smaller firms, the city’s optical industry [along with Kodak] reinvented itself and preserved the superb technical training program that was the lifeblood of the industry,” he says. “Seeing the Light,” isn’t just a feel-good story; it’s a story with a moral. Rochester legislators, in partnership with local industry, used the same sort of manufacturing ingenuity that was being lost to inspire themselves and create an enviable turnaround. Every town that suffered from the downtick in manufacturing can’t expect to have its own Kodak moment, but Rochester’s climb back should give every presumably dying town pause. Sometimes, what you read in the newspapers isn’t always accurate.